Since the early 1990’s garage door openers are required by law to have an auto reverse feature. The technology may be old school, but this is not only required by law in new garage openers; it is the most important safety feature. Make sure your garage door has one and that it is operating properly. Have you ever wondered if your teen remembered to shut the door on the way to school? Or, have you wished you could let your neighbor into your house to make sure everything is OK after that big storm that happened while you were on vacation? No problem. 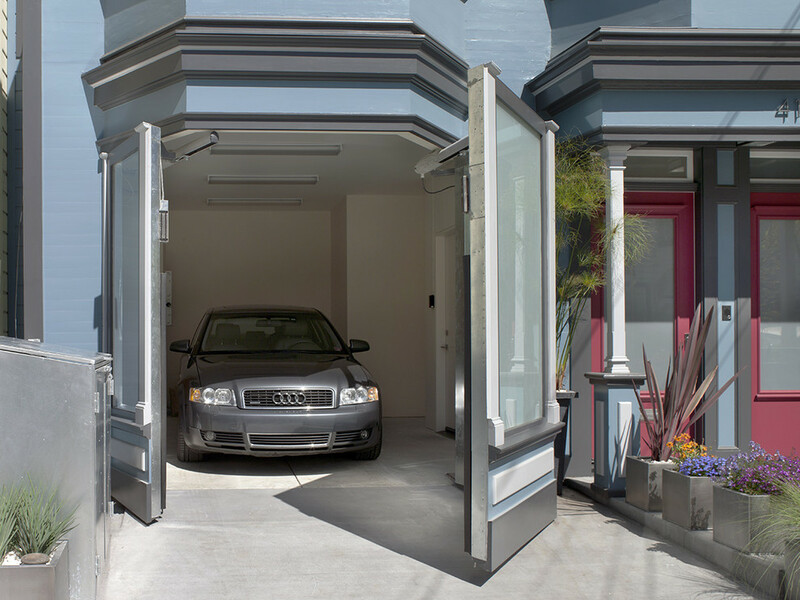 New garage door technology lets you close or open from anywhere with a smart phone app. Want to know who is coming and going, but you don’t want to resort to cameras (they are a little on the creepy side!)? Your garage door opener can give you an alert whenever the garage door is opened or closed. And, it’s going to get even better, expect technology that will give each user a separate login so that you will know exactly who is coming or going in the future. The IFTTT app can work with some of the new garage door openers so you can set up your own recipe to control the door. For example, the kids take their bikes out of the garage to go for a ride and leave the door open for their return. There’s a sudden rainstorm. But, you already set the recipe. Your garage door will follow the if-this-then-that recipe “if there is rain then shut the door.” Wet kids – dry things! IFTTT isn’t the only app – check for apps that will work with your new garage door opener. Your garage door opener may do it on its own or you can use that IFTTT app to make another recipe that turns on a light (web-connected like Hue) when the door opens. No more fumbling around in the dark. That’s a safety plus. It just got better when you link your to the garage door. Your My Nest thermostat is smart – smart about saving you money by conserving energy. Link it with your garage in the MyQ app and your thermostat will take the opening and closing of the garage door into account when deciding when your A/C or heater needs to be on or off. After all, who knows your routine better than your garage door? Apple’s HomeKit is going to get in the game so you may just be able to ask Siri to open the garage door for you from your iPhone or Apple Watch in the near future. Technology is working on it. Image how convenient it would be if closing your garage door in the morning started the dishwasher. Life with machines is going to become more and more technology driven. It looks like Wi-Fi and a smart phone (Apple or Android) are ready to hook up more automated convenience for you!The garage door is often the most used door in a home so it’s set to be a portal to all the new technology. There are a variety of different garage door openers and different apps that work with them. Need help deciding which is right for you? You might want to start with some Internet searches to get an idea of what is available and what has the features you want. Then, visit your licensed Garage Door Service Phoenix company for expert advice. They can help you find the garage door opener that is right for you and right for your budget. Remember, your garage door is probably the heaviest moving object in your home and it works off springs and cables that are under high tension. Working on your garage door is not a do-it-yourself job so you want your new, smart garage door opener to be installed by an expert. While they’re there have them do a garage door maintenance to make sure the garage door is properly balanced and the auto-reverse is working. When you take care of your garage door and garage door opener, it will take care of you. — opening and closing smoothly and with the right opener and the right app maybe a whole lot more! A graduate in Marketing and Sociology, Chad is a writer at heart. Writing allows him to utilize his skills honed by years of experience. His areas of expertise vary from: Mattresses, Medical Weight Loss and Home Services including Air Condition and Garage Door Repair. When not writing Chad likes to play soccer and explore the great outdoors. Not one to stay indoor Chad feels more at home on the ocean than on land. Read more of what he writes to find out what he thinks about this beautiful world we are in.